Sewing machine makeupI am similar and prepare it. 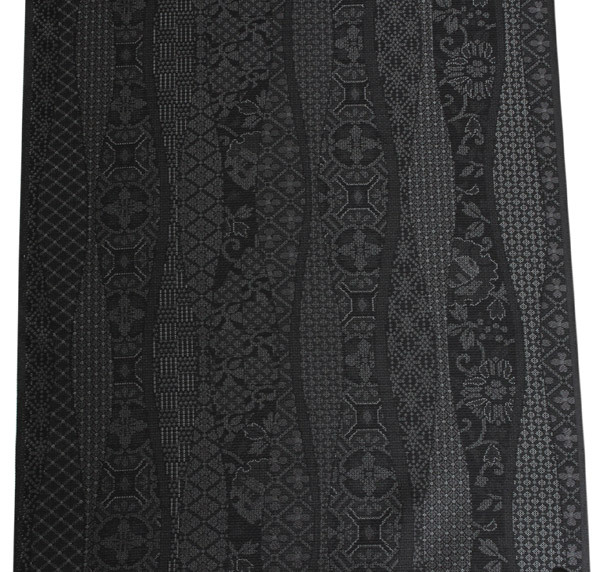 Hemline at the bottom of a kimono,The trunk backI soak the thing of は pure silk fabrics. 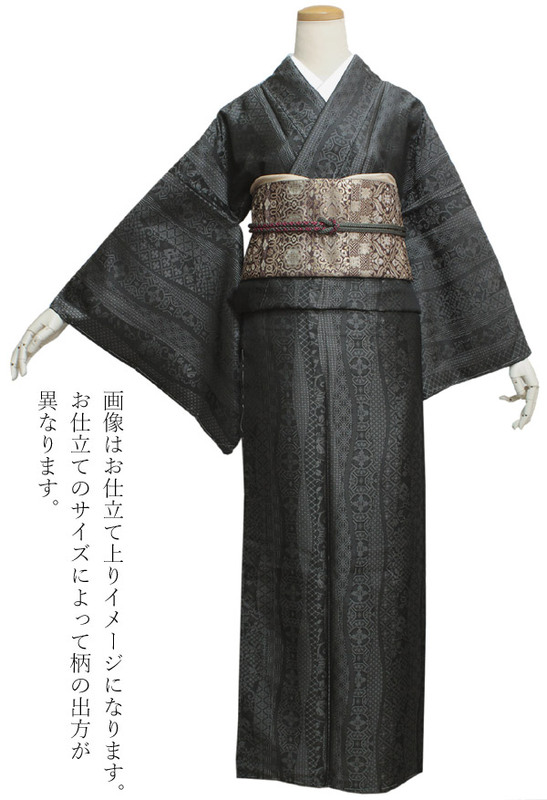 Hand-sewn sewingI heard も.Addition 6,000 yen (税抜)I am similar and switch from sewing machine makeup to hand-sewn sewing. When you want, please choose it in an item choice of the shopping bag neighborhood. The additional charge revises an amount of money by an order confirmation email from our store. I will recommend handstitch makeup in particular in future as I cannot untie it neatly when there is the possibility that dimensions are repaired when it is sewing machine makeup. 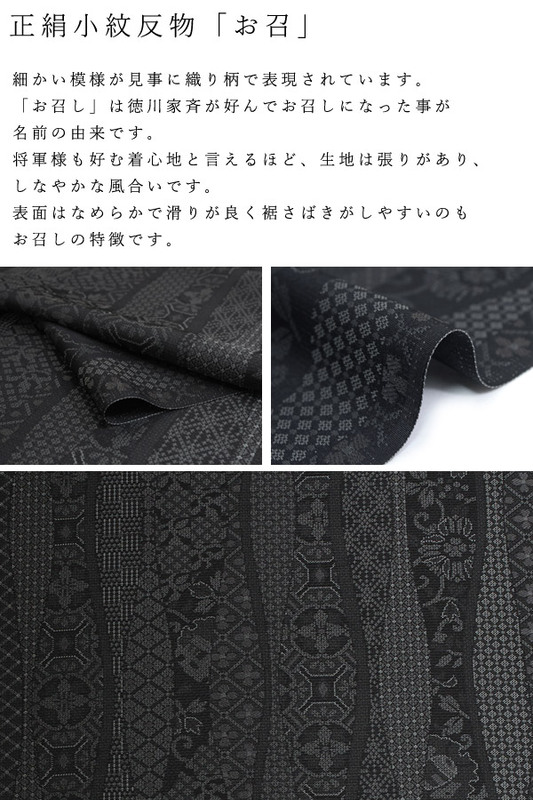 Cotton coreI used をIt is usually made with a Nagoya style sashです. 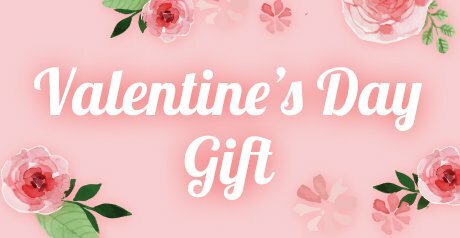 1.I send a cash on delivery delivery note to the cloth, dimensions entry list that had you purchase it from our store, our store. 2.After product confirmation, you have you fill in dimensions list, and please send back a cash on delivery delivery note after the use. 3.I invest it in sewing as soon as a product arrives here. 4.After sewing completion, I send it out immediately. 1.By an order confirmation email from our store, I ask about dimensions. 2.I invest it in sewing as soon as I have the reply of dimensions. 3.After sewing completion, I send it out immediately. The period made by is all approximately one month. 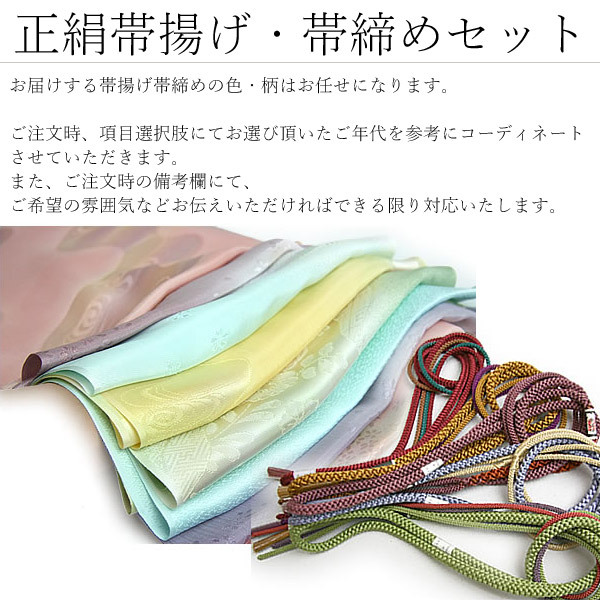 ※Not piece-dyeing to dye to white cloth, it is yarn-dyed cloth weaving the thread which I dyed. 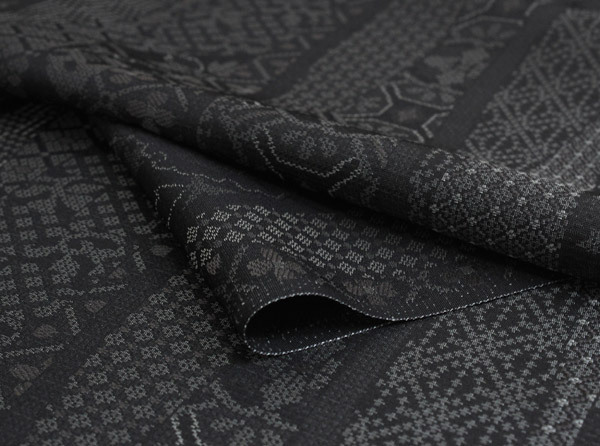 A small design is expressed in a texture pattern wonderfully. It is the origin of the name that Ienari Tokugawa came to call "I call it" willingly. 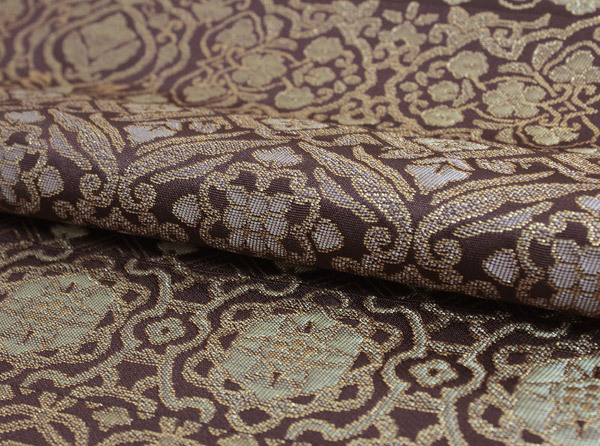 As for the cloth, there is tension so that it may be said that it is the comfort that general likes and is a flexible texture. 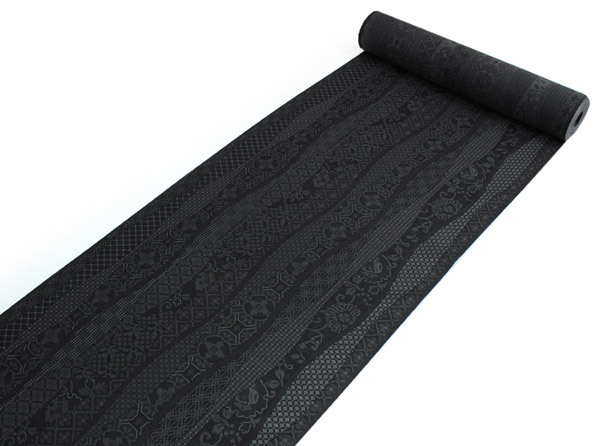 It is a characteristic to call that the surface is smooth, and sliding is easy to do handling of the skirt well. 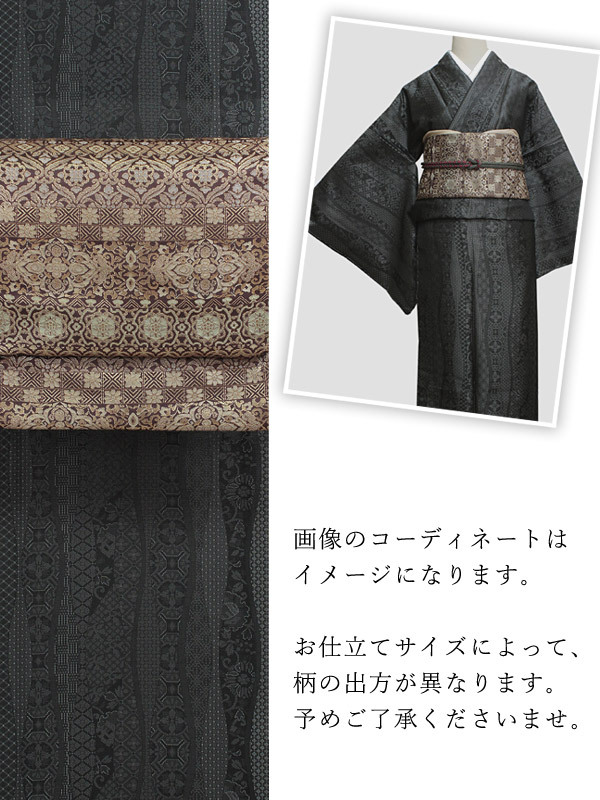 The coordinates of the image are imaged, and a color, the pattern of the obi bustle obi cord to send entrusts you. At the time of an order, I coordinate in reference to the generation when I had you choose him in an item choice. In addition, I cope as much as possible if you can convey atmospheres you like in the remarks column at the time of the order. Please catch it as arrival at fashion for the joke. A wedding ceremony, 入卒業式, the Seven-Five-Three Festival is not suitable for formal business. 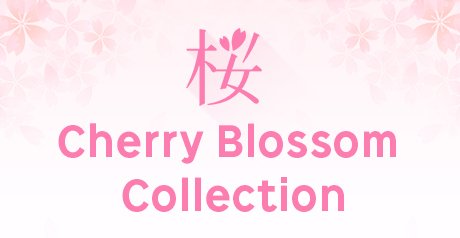 You can choose sewing "made with lined kimono" (from October to May wearing) "made with unlined clothes" (6.9 moon wearing) you like. ※In the case of hope made with lined kimono, I choose the amorous glances of the hemline at the bottom of a kimono here. 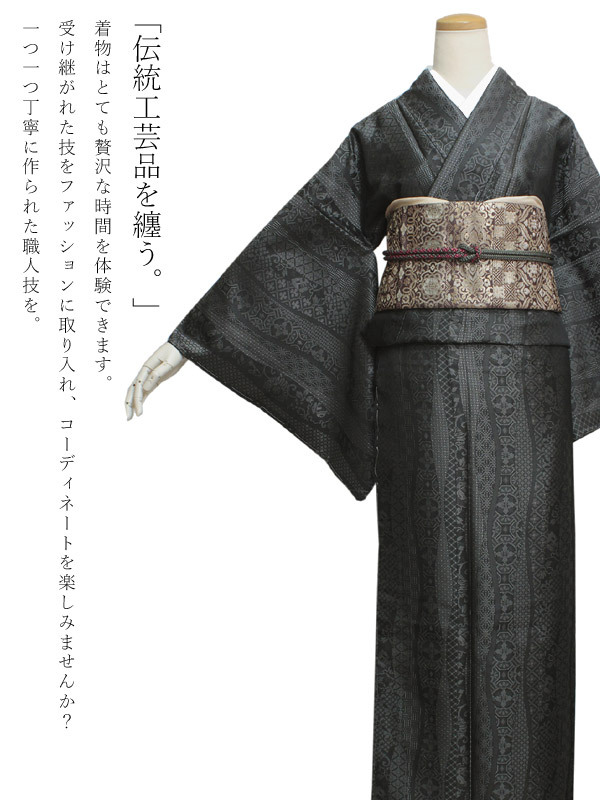 I attach the pure silk fabrics trunk back, a pure silk fabrics hemline at the bottom of a kimono. ※With an optionHand blindstitched obiI can have you change にご of it. In the case of hand-sewn hope, please choose it in an item choice of the shopping bag neighborhood. The additional charge revises an amount of money by an order confirmation email from our store. 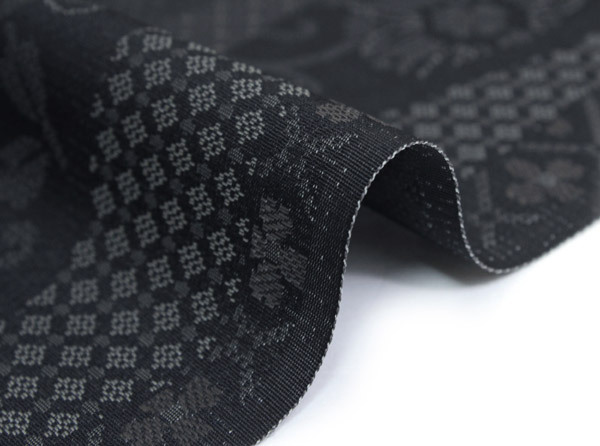 The sewingCotton coreI put をIt is usually made with a Nagoya style sashです. 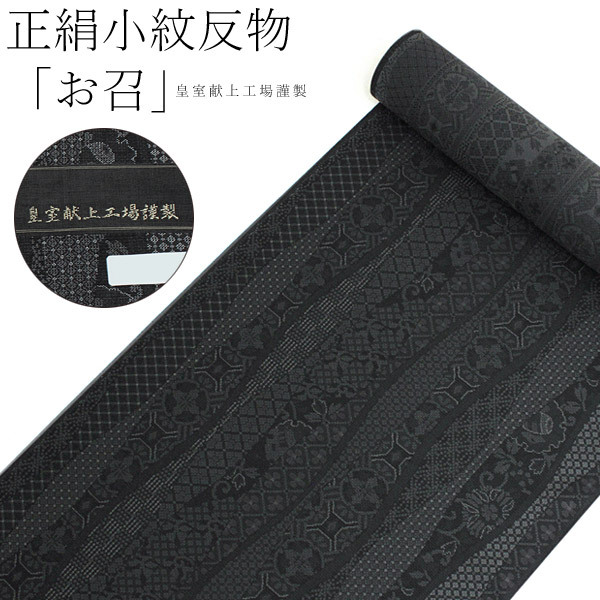 ※As you cannot accept the return of goods after the sewing, approve it beforehand. ・This product is a returned goods postage 0 yen service object product of the relief. ・The cloth which had you purchase it for the people who wantedPostage we burdenI send でお. Have confirm cloth at the hand of the visitor; with a bundled dimensions entry listCash on deliveryPlease send back でご. In addition, you can send back the verge of the cancellation with postage we burden. ・This service use,"I hope for 0 yen service"Please choose をご. Though I did a kimono to pure silk fabrics with much effort, there is the possibility that static electricity is generated.